This article was originally published in Conscious Company Magazine. 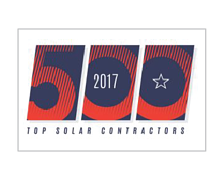 Founded in 2005, Namasté Solar has quickly become one of top solar installers in the state of Colorado. 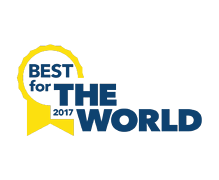 In addition to its work in energy, the company is also employee-owned and has been awarded B Lab’s “Best for the World” award for creating the most social and environmental impact. We had the opportunity to sit down with co-founder Blake Jones to discuss the company’s success. Can you tell us the story of starting Namasté Solar? Blake Jones: In 2004, I returned home to Colorado after working for three years with solar electricity in Nepal. My co-founders, Ray Tuomey and Wes Kennedy, and I discovered that we all shared a common vision for starting a company that would help prove that there’s a better way to do business than the conventional norm. We wanted an employee-owned, transparent, and democratic workplace whose purpose was to benefit all of the company’s stakeholders, not just its stockholders. While living in Nepal, I had been using the word “Namasté ” on a daily basis as a greeting of great respect, and Wes used it regularly as a yoga practitioner. We interpreted its meaning as “recognizing the interdependence of all things,” such as employee morale and the bottom line, energy policy and the economy, public health and the environment, etc. We thought this meaning was a perfect fit for our company name, and that led to Namasté Solar being officially incorporated on February 2, 2005. One of the scariest times for entrepreneurs is actually making the decision to jump in. What did this decision look like for you? BJ: It was indeed a scary decision. For most of my life, I had never even considered the possibility of becoming an entrepreneur. When my wife and I lived in Nepal, I worked for a renewable energy company where I learned about the challenges of small business management. During a particularly trying period, I remember telling my wife, “Wow, running a small business is really tough – please don’t ever let me start one!” Even as Namasté Solar was getting launched, I couldn’t believe what we were doing – and neither could my wife, who reminded me what I had said just a few years earlier in Nepal – but our passion and excitement for our vision pushed us over the edge into the scary unknown, and that’s been the fuel that has sustained us ever since. What inspired Namasté Solar to become an employee-owned co-op? BJ: When we started the company, we were naïve, first-time entrepreneurs, and to put it plainly, we were simply unaware of the cooperative model. Instead, we invented our own wheel, so to speak, by creating our own customized employee-ownership structure. Interestingly enough, it was similar to a cooperative structure because we made many big picture decisions democratically on a one-vote-per-person basis. However, we also allowed all long-term employees to purchase as much stock in the company as they wanted. This resulted in increasingly varied levels of stock ownership, which in turn resulted in early Co-Owners having more stockholder-level control than those who joined later, which was not what we had intended. 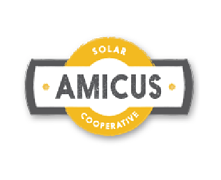 So, on January 1, 2011, our approximately fifty Co-Owners voted to convert to an employee-owned cooperative, and we couldn’t be happier with that decision. The cooperative model more closely matches our democratic ideals and more equitably distributes the risk-reward equation and small business ownership experience for our Co-Owners. Lastly, as part of our transition to a cooperative model, we created two classes of stock: a class of cooperative voting stock, of which only employees could own a single share, and a class of non-voting preferred stock. The preferred stock enabled us to start accepting external investors without compromising our cooperative model or democratic employee control. What have been the biggest challenges of being a co-op and how have you addressed these challenges? BJ: Our biggest challenge by far has been fast growth, both internally at our company and also externally in the solar market. 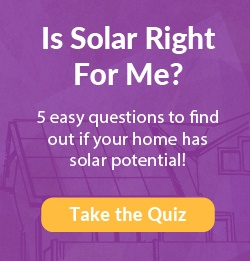 We found ourselves getting swept away by the booming solar market, which we call the “solar coaster,” and we unintentionally doubled in size every year for our first five to six years. With our unique business model, we had no blueprints to follow, and trying to scale the model so quickly put a lot of strain on both it and us. We had to learn how to embrace change and evolve our unique business practices very quickly. Sometimes it felt like we were continually having to make painful compromises between our original vision for the company on the one hand, and growth and scale and external market realities on the other. For example, we actually started the company based on consensus decision-making, but as we grew to over forty people, we had to transition to democratic decision- making, which has worked well with now over a hundred of us. When we were small, we held votes on a one- vote-per-person basis for just about everything, but as we scaled up we transitioned to more representational forms of democracy with more empowerment votes for individuals, teams, committees, etc. I remember getting some very helpful advice from one of our employee-owned company role models, New Belgium Brewing, based nearby in Fort Collins, about trying to distinguish between the “principle” and the “practice.” You want to keep your principles intact as you grow, of course, but you might need to change the way that you practice the principle or act on it. This paradigm has been very helpful. What unexpected value has resulted from structuring the business as a co-op? BJ: One enormous benefit of being employee-owned is that everyone thinks and acts like an owner. This directly translates into better work quality and better customer service, but I guess this was a benefit that we had both intended and expected. Some unexpected benefits stemmed from the cooperative model being more prevalent and well-known than we had realized, and this, in turn, helped us to better communicate who we are and to raise external capital more easily than we predicted. Previously, it could be challenging for us to describe our unique, customized, employee-ownership structure. We would say we were employee-owned and here’s how it works, and here’s what that means, but simply saying we’re a cooperative usually registers with people instantly. A good analogy is that I can give you a tour of our building and show you all of its energy-saving and progressive design characteristics, or I can just tell you that it’s LEED Gold certified, and boom, you get the idea more quickly. 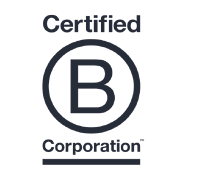 Another analogy is that we can now say that we’re a certified B Corp, which helps us take a shortcut in telling you that our company has a measurable, positive impact on society and the environment. 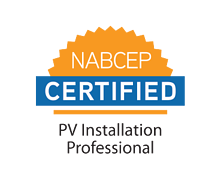 As an aside, we really like being a cooperative and a B Corp, and having LEED certification, because it allows us to contribute to all three of those important movements. Lastly, in terms of raising money from external investors, we have been pleasantly surprised at how many people specifically want to invest in a conscientious, democratic, cooperative model like ours. In 2012 – 2013, we raised about $750,000 from 25 values-aligned, external investors. We were even oversubscribed and had a wait list. The interest and support that we received was far greater than we could have imagined. 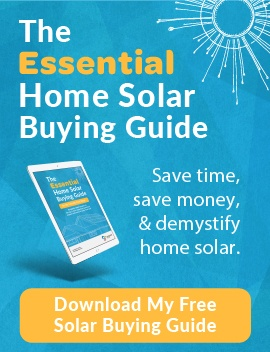 To see the full story on Namasté Solar, including insights on the solar industry, energy policy, and leadership, purchase a print or digital copy of Issue 2, Spring 2015 of Conscious Company Magazine online.